Results of the PRECISE II study showed the implanted continuous glucose monitoring (CGM) system from Eversense to be safe and highly accurate over the 90-day sensor life in patients with type 1 or type 2 diabetes. 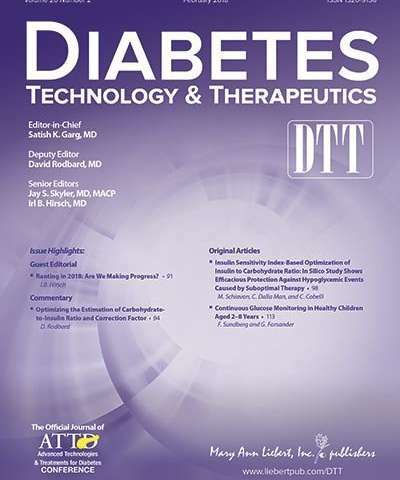 More than 93% of CGM glucose values were within an acceptable range of reference values, according to the PRECISE II data reported in Diabetes Technology & Therapeutics (DTT). Lynne Kelley, MD, Senseonics, Inc. (Germantown, MD), and a team of clinical researchers from across the United States conducted the prospective, multicenter PRECISE II study. They describe the study design and their findings in the article entitled "A Prospective Multicenter Evaluation of the Accuracy of a Novel Implanted Continuous Glucose Sensor: PRECISE II." The primary endpoint of the study was the mean absolute relative difference (MARD) between Eversense glucose values and reference measurements (from 40-400 mg/dL) over the 90-day post-insertion period. The researchers showed that clinicians with limited to no surgical experience could safely insert and remove the CGM sensor after appropriate training. Only one serious adverse event was reported related to device use or sensor insertion/removal. "Continuous glucose monitoring is becoming standard of care especially for insulin-requiring patients with diabetes. Eversense, if approved by the FDA, will become the first implantable CGM system for use lasting at least 3 months," says DTT Editor-in-Chief Satish Garg, MD, Professor of Medicine and Pediatrics at the University of Colorado Denver (Aurora).